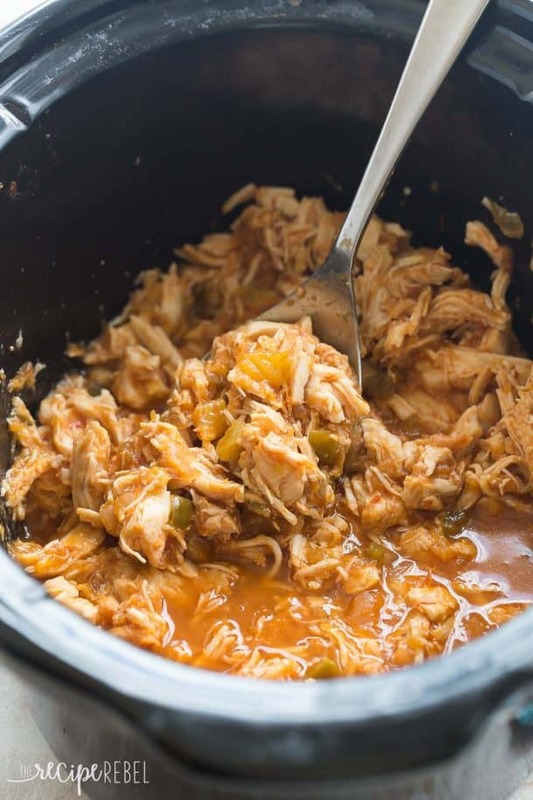 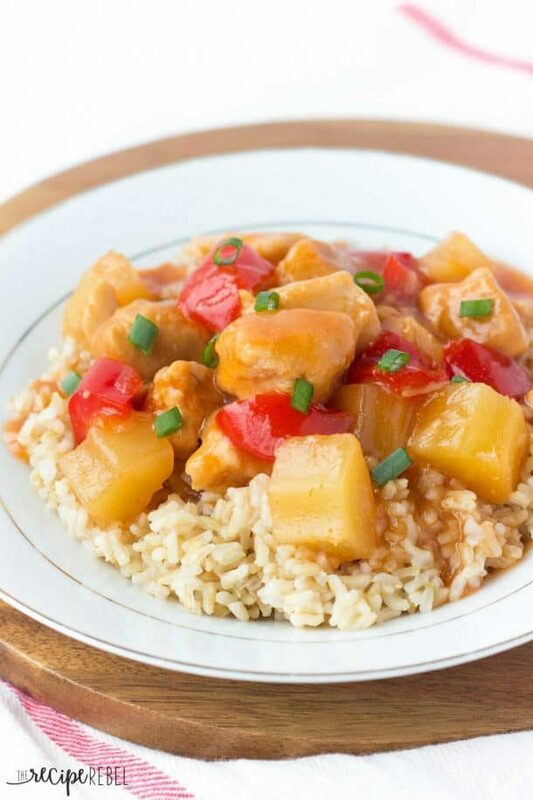 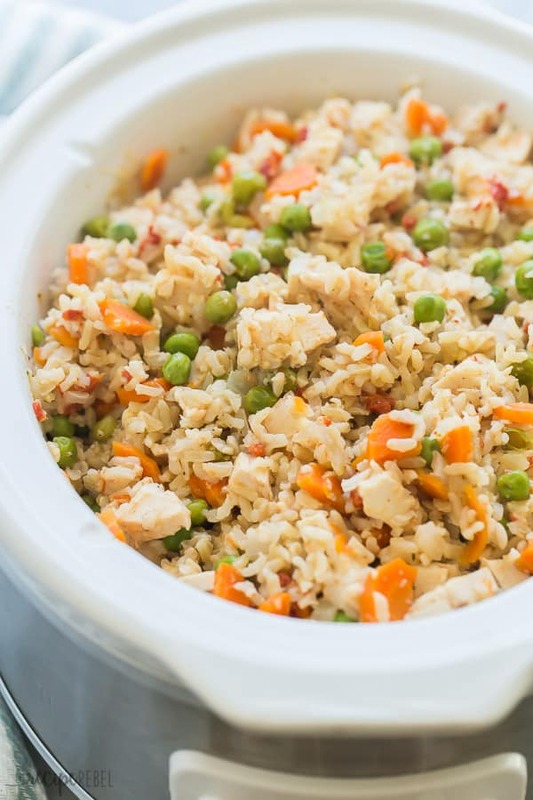 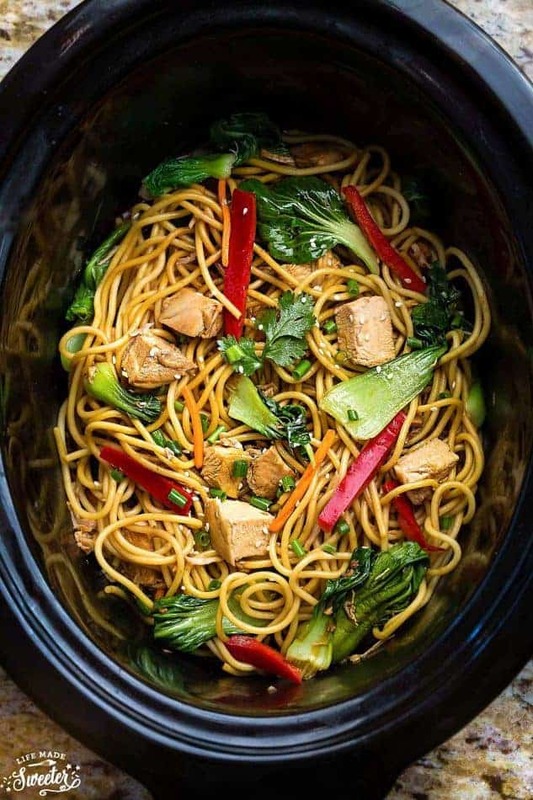 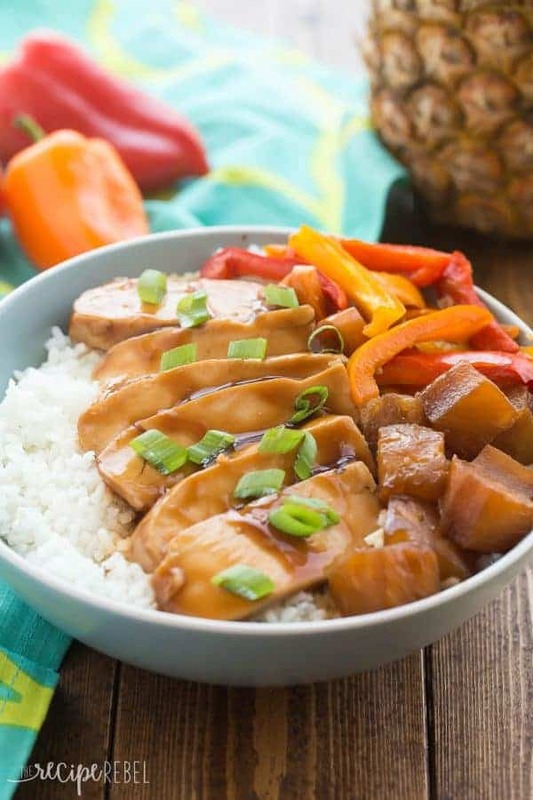 A wide variety of Crockpot Chicken Recipes to make dinner time simple! 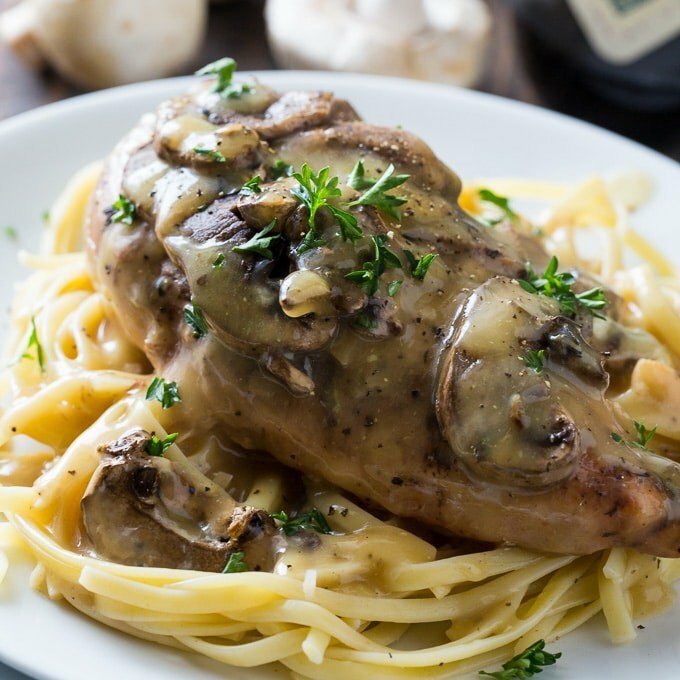 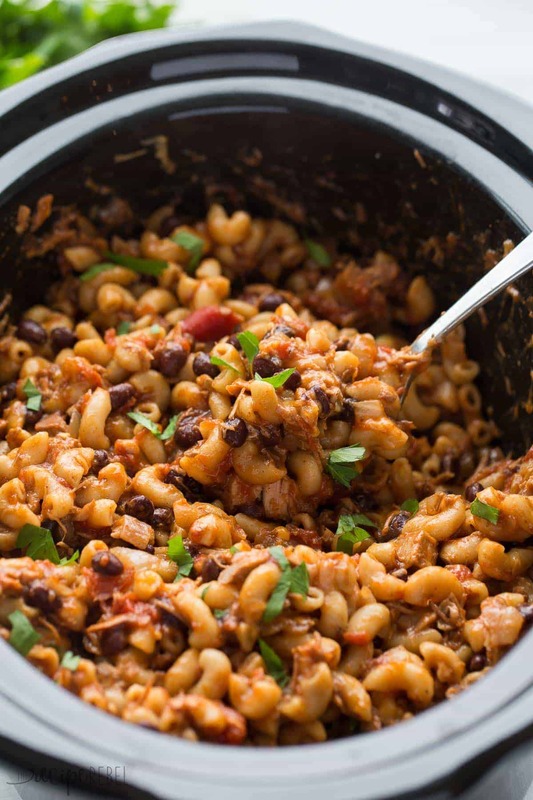 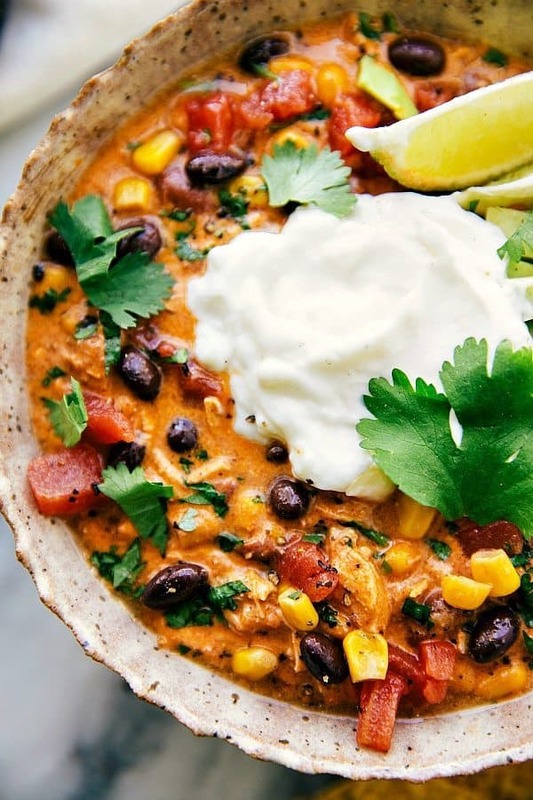 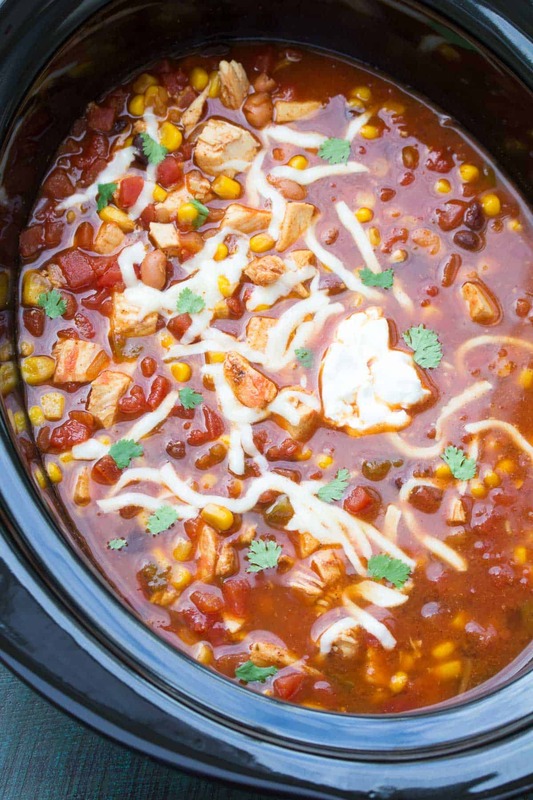 Pasta, soups, stews, tacos, chicken breasts and chicken thighs — you won’t get bored with this list of slow cooker chicken meals! 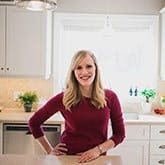 I don’t know about you, but where we are in Manitoba, September has been downright frigid. 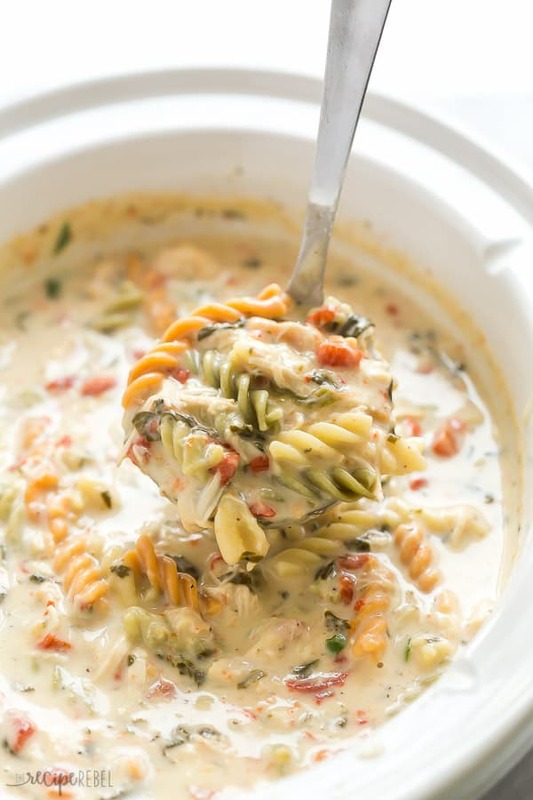 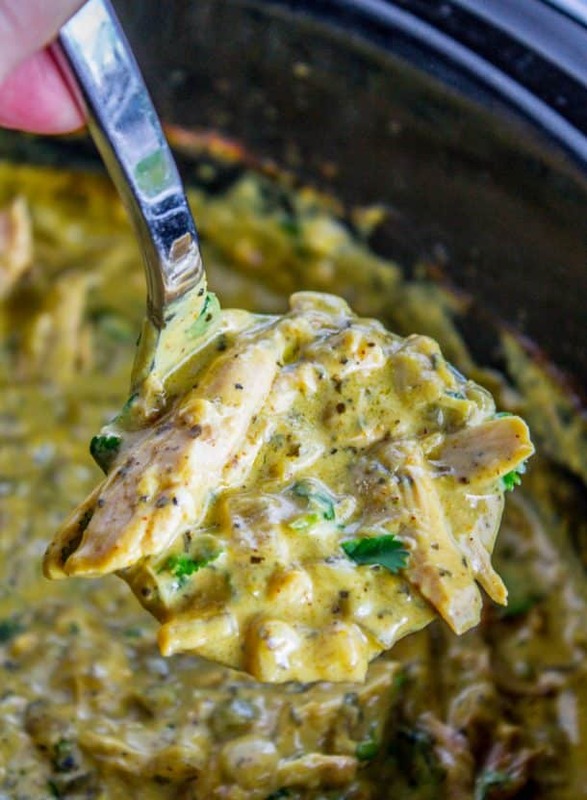 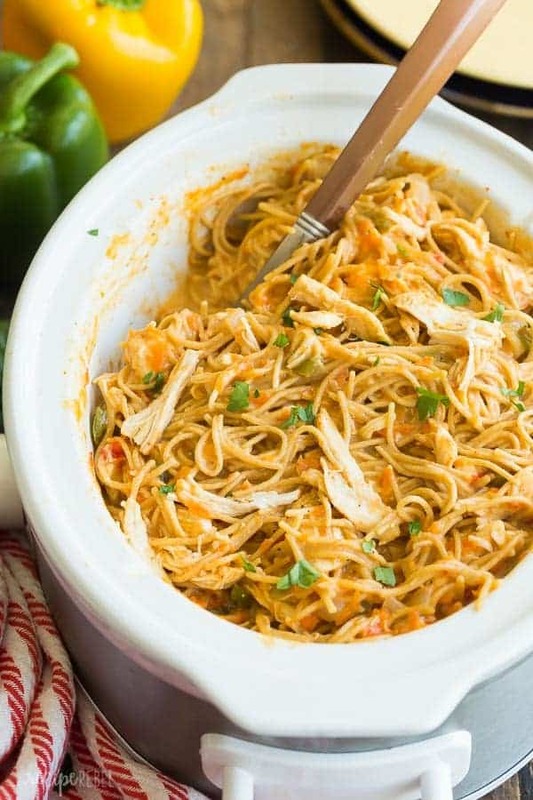 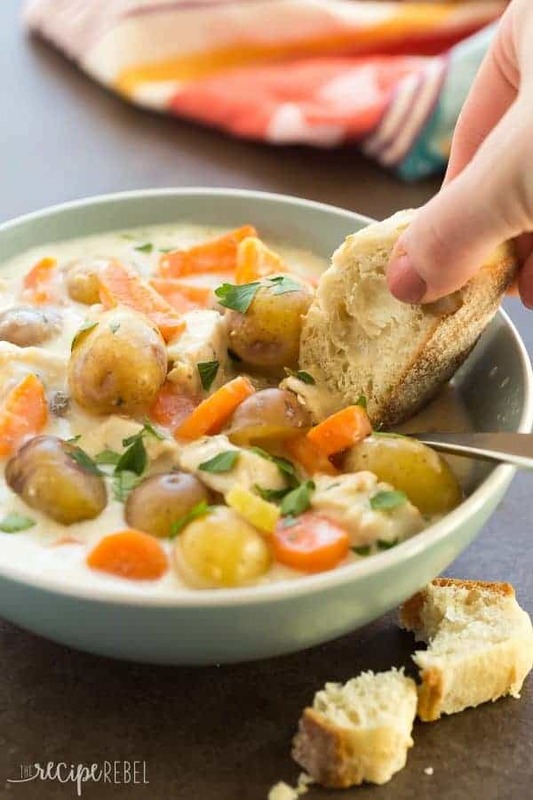 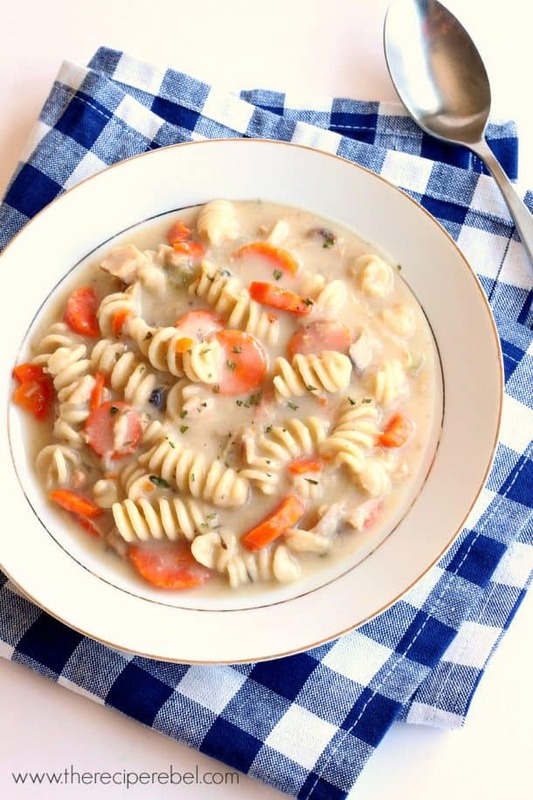 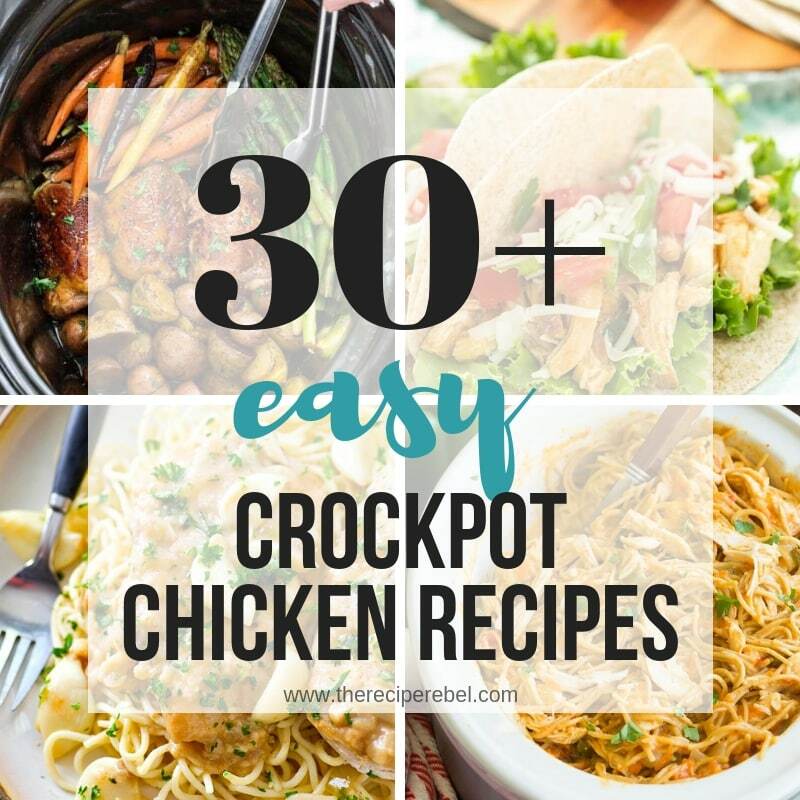 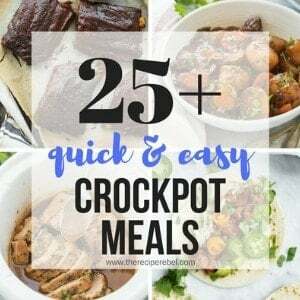 I’m totally feeling all the crockpot chicken recipes — soup, pasta, saucy or cheesy! 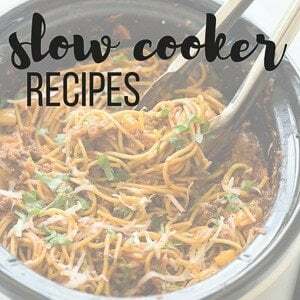 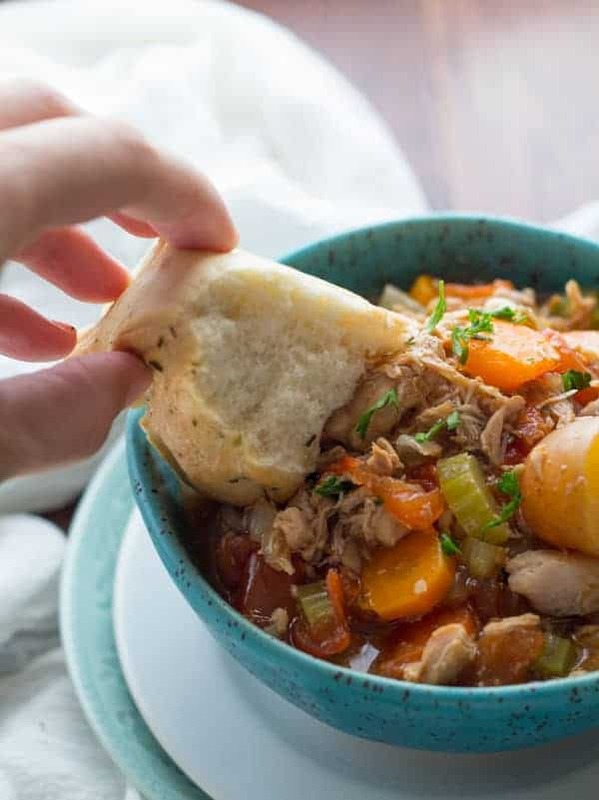 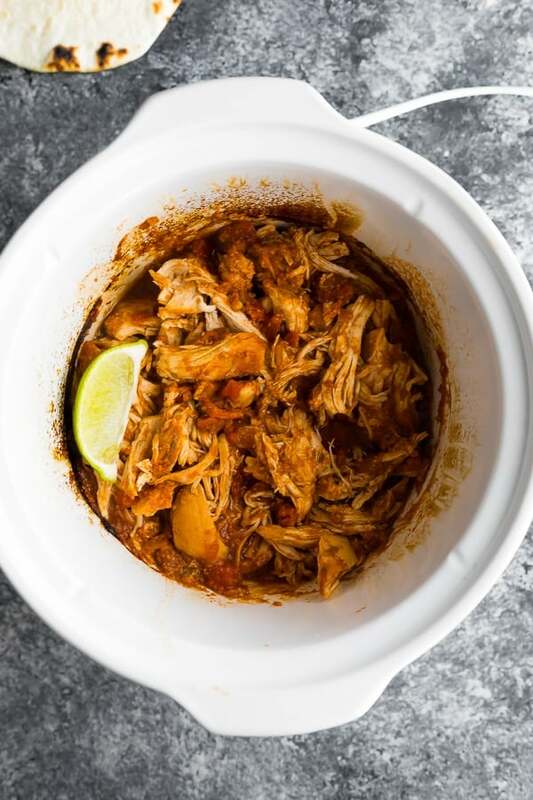 I definitely use my slow cooker in the summer as well, but there’s just something about a hearty chicken dinner cooking away in the crock pot all day long that is better when it’s cold out. 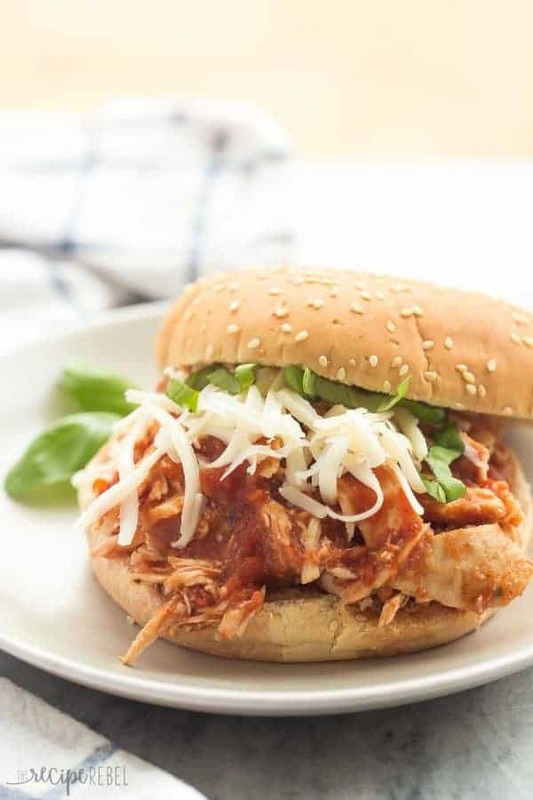 All of these slow cooker chicken recipes use either chicken breasts or chicken thighs. 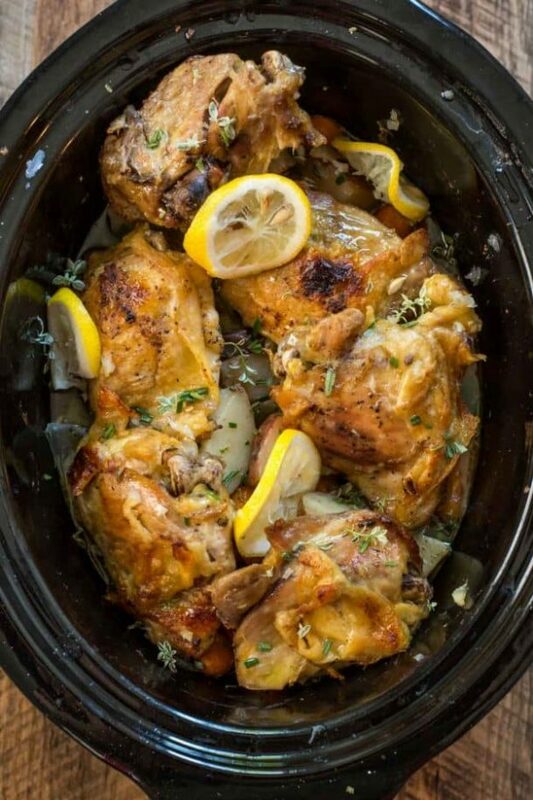 I’m going to be working on a slow cooker whole chicken recipe soon (it’s one of my favorite ways to cook a whole chicken! 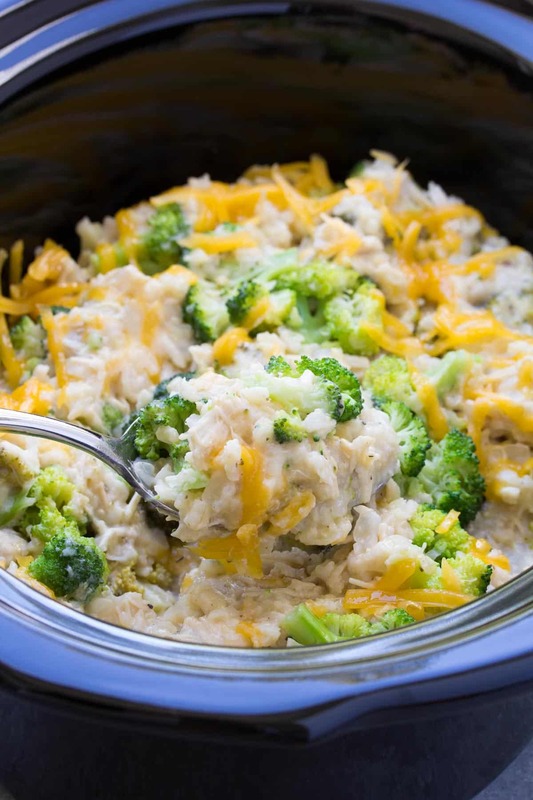 ), but for now, these are quick prep and minimal clean up recipes you can make on any weeknight. 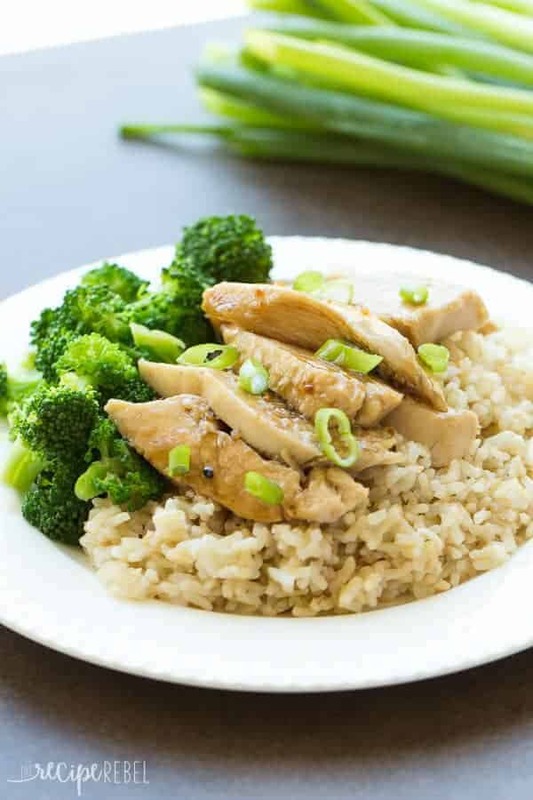 Chicken breasts are very lean and are great for absorbing all kinds of flavor. 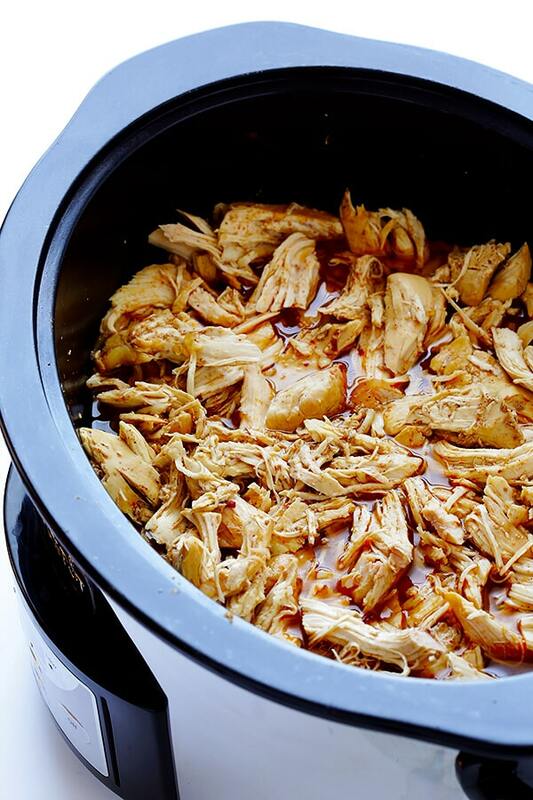 If you are cooking small pieces of chicken breast in the crock pot, you likely only need a couple of hours on low. 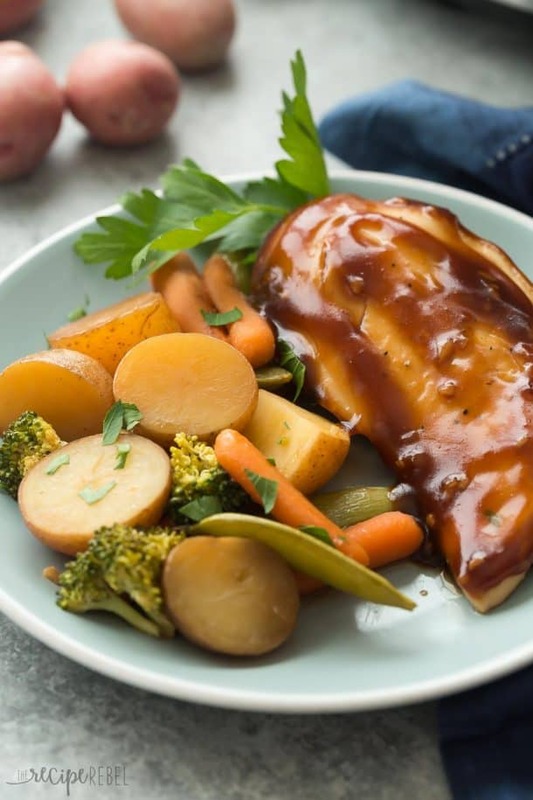 Whole breasts may take a little longer — 3-4 hours on low or 2 hours on high. 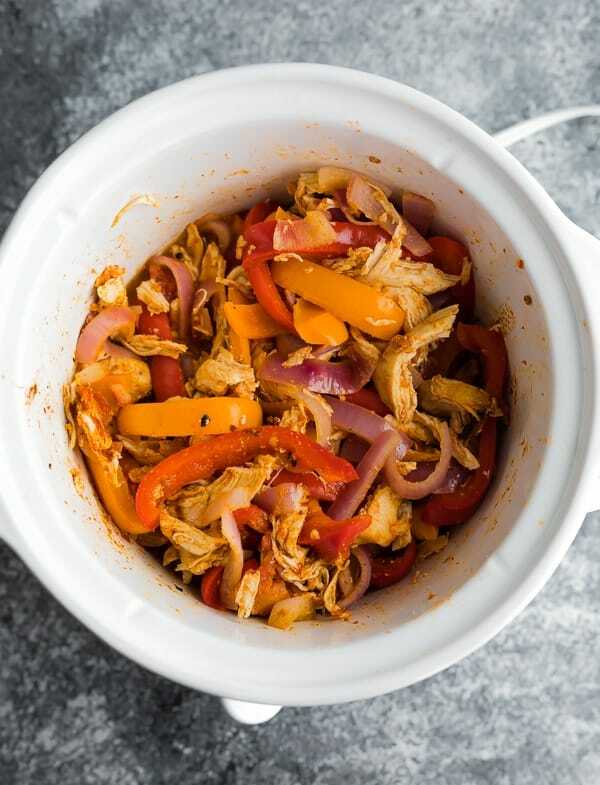 I generally prefer to cook my chicken breasts as one piece in my crockpot chicken recipes so they stay moist, then remove and shred or chop. 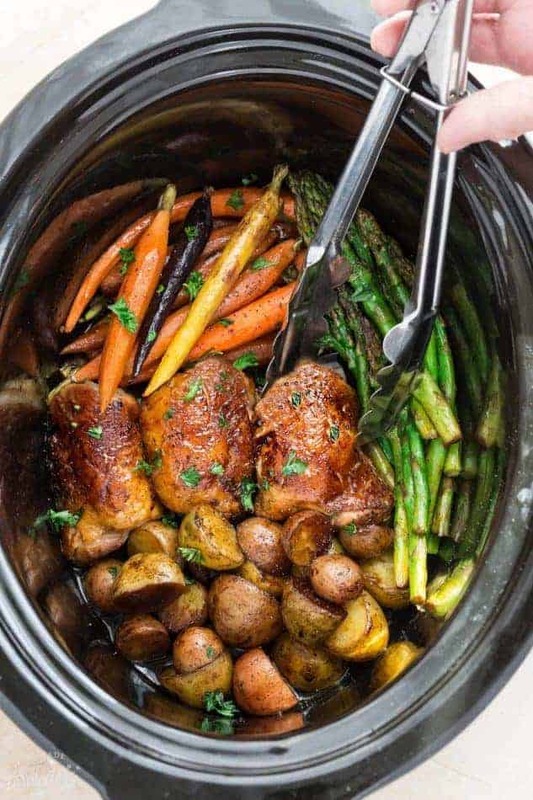 I find they stay much more moist this way! 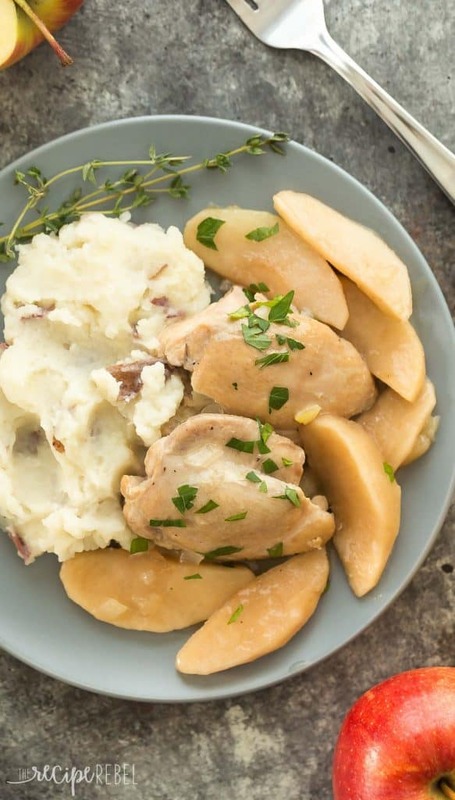 Chicken thighs are considered dark meat, which means they have a little more fat but also a ton more flavor. 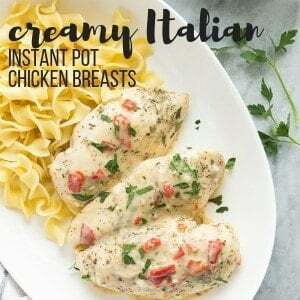 They will stay moist longer and may be better suited to long cook times in crockpot chicken recipes than chicken breasts. 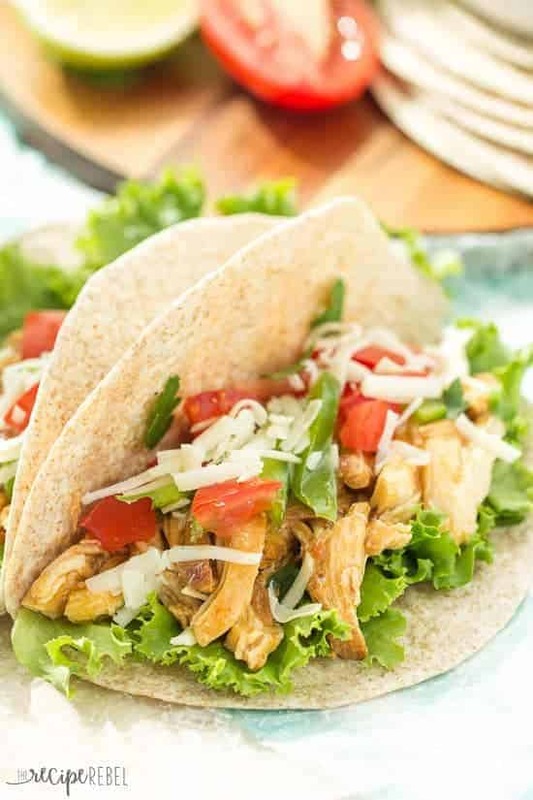 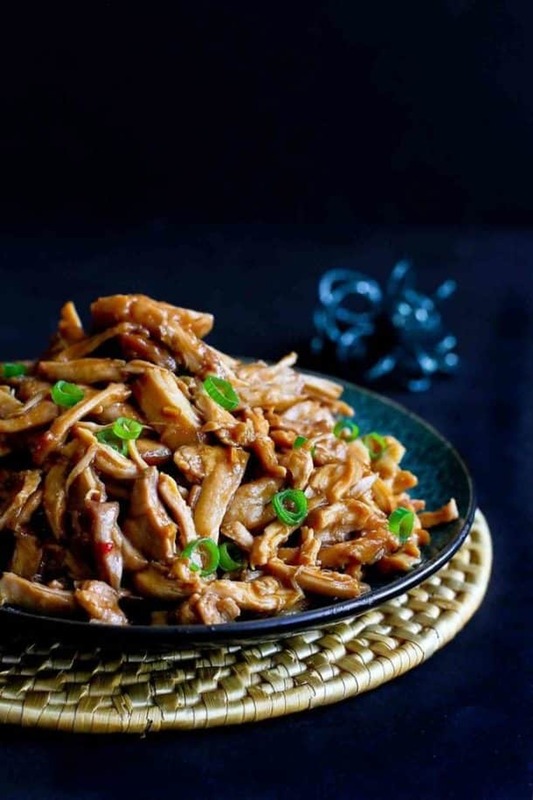 The recipes below use a variety of boneless, skinless chicken thighs and bone-in chicken thighs. 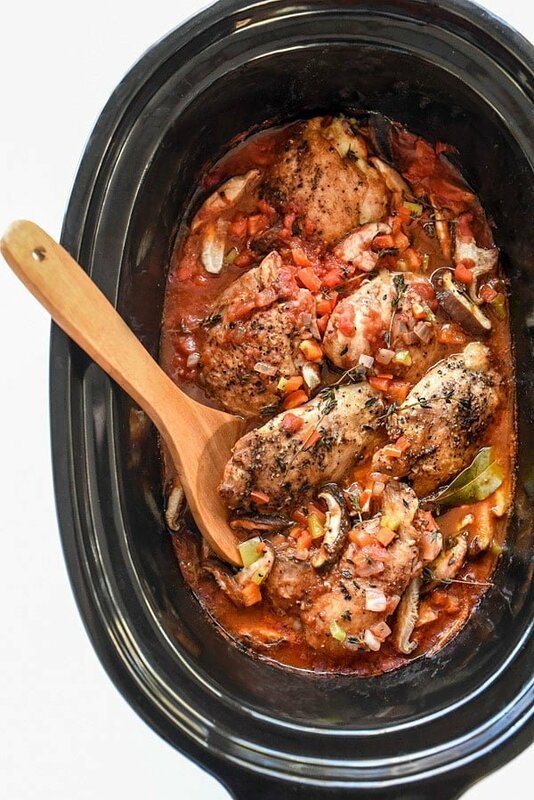 Bone-in chicken thighs will require a significantly longer cook time so these two can not always be swapped. 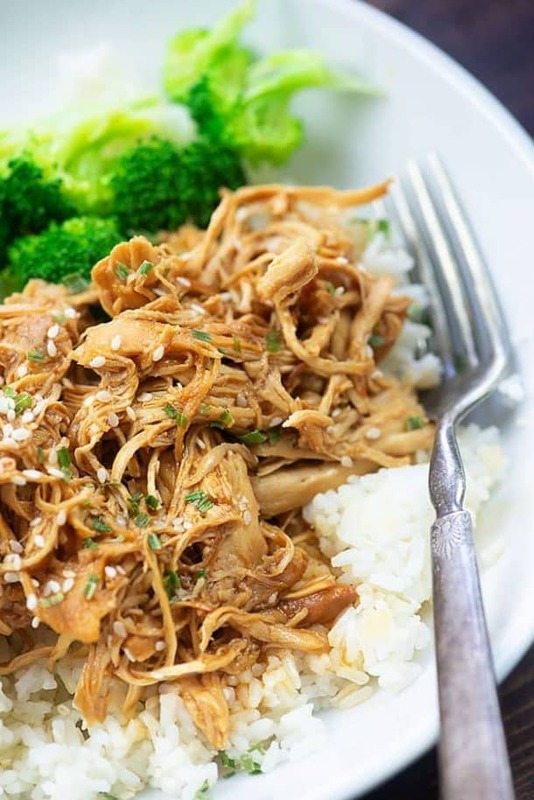 If you’re looking to save on a little fat (though our bodies do need some and chicken thighs are loaded with good things! 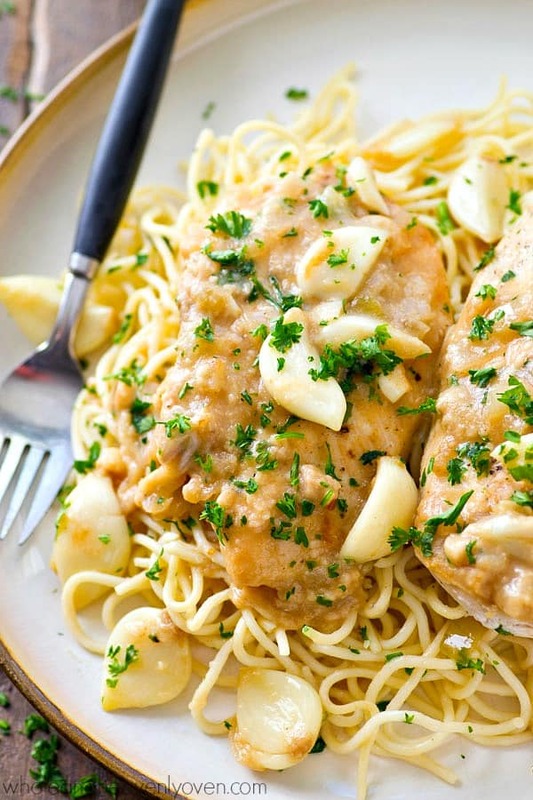 ), you can try using chicken breasts instead of thighs for some of the recipes below. 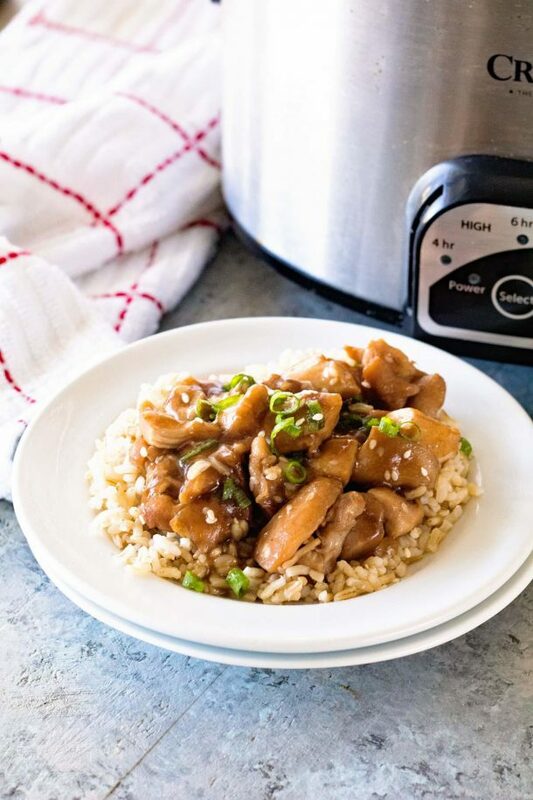 Keep in mind that cook times would need to be adjusted and breasts will not retain the same amount of moisture. 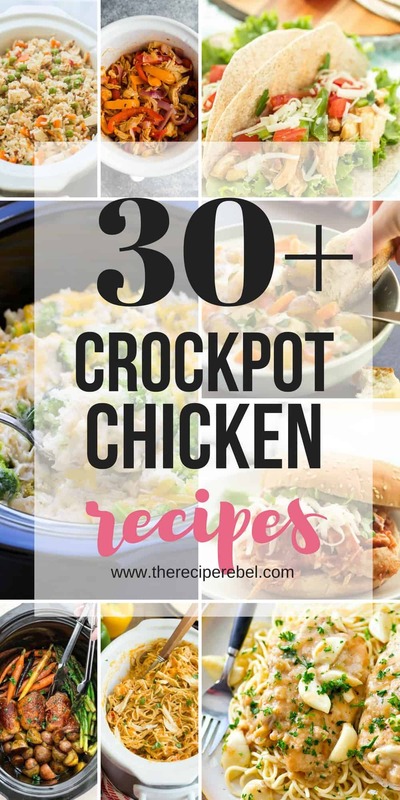 This is a bit of a hot topic, and it is actually not recommended to cook frozen chicken in the crockpot because it sits at that “not cold enough but not hot enough” in between temperature for too long in the slow cooker. 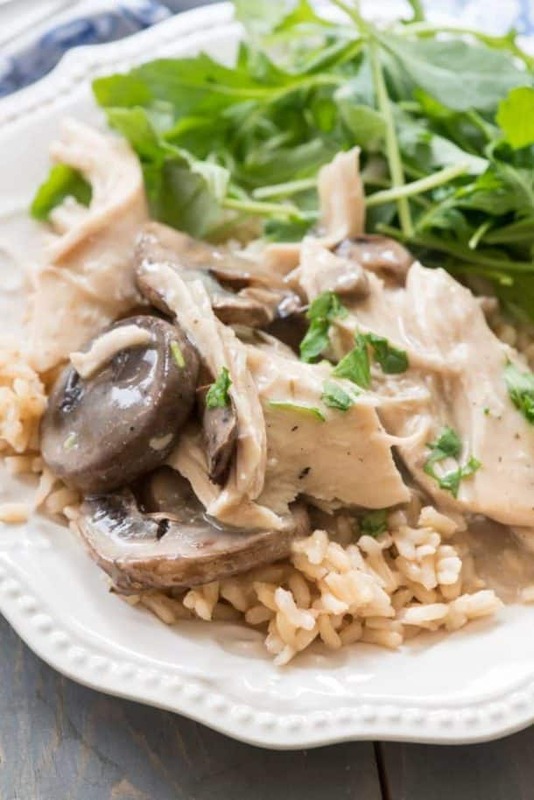 That being said, I have often throw frozen chicken breasts into the crock pot to give myself a few extra hours of cook time (if I had to be away all day or something), and it’s been fine for me, and I likely won’t stop doing that.